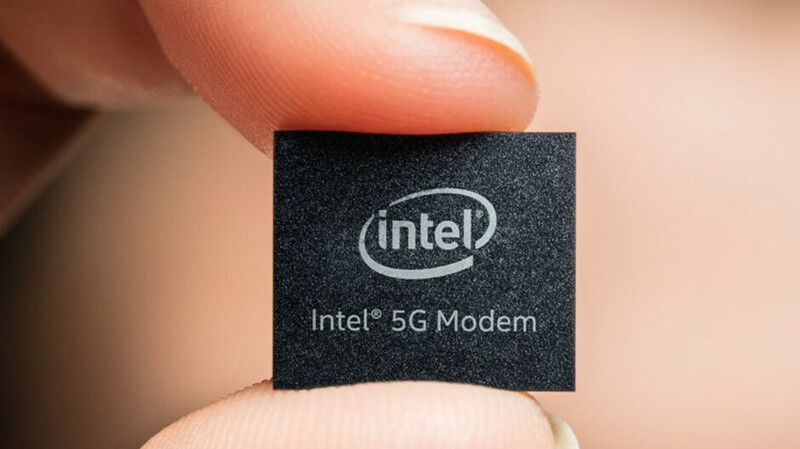 After reportedly recruiting new employees to work on an ambitious project meant to ultimately cut its reliance on third-party cellular modem designers like Intel, Apple may have operated a key organizational change signaling the seriousness of these efforts. Starting last month, “two people familiar” with the matter tell Reuters Johny Srouji is in charge of in-house modem chip development after taking over from Ruben Caballero. Srouji is Apple’s Senior Vice President of the Hardware Technologies division, reporting directly to CEO Tim Cook, while Caballero is a lower-ranking official whose main role is that of Vice President in the Wireless System Design Engineering Group. In a nutshell, Apple is definitely treating this project seriously, even though a release timeline for the company’s first homebrewed modem remains unclear. After years of doing business with Qualcomm, the Cupertino-based smartphone vendor decided to take the semiconductor giant to court, replacing its services with that of arch-rival Intel. Intel is widely expected to help make the first 5G-enabled iPhone generation possible in 2020, although Samsung and MediaTek might also be in contention for part or all of that profitable business. From 2021 however, Apple may no longer need an external supplier to design high-speed iPhone modems. In the short run, such a bold move is likely to require investments and development costs of hundreds of millions of dollars each year. But down the line, if the in-house production efforts bear fruit, Apple could save the billions of dollars a year typically paid to the likes of Qualcomm and Intel. Another huge potential benefit would be integrating these in-house modems with A-series SoCs Apple already designs itself into smaller, more power-efficient, all-in-one silicon packages. But that’s still a very distant and theoretical prospect. The truth is, all the chips designed in-house by Apple are now way ahead of the competition. Look at their CPU, it's like miles ahead. Same with the GPU. Even 2-year old Apple GPUs can compete with current Qualcomm GPUs. So probably designing its own modem is the best way forward. Apple finally caught up to Qualcomm's GPU last year. This year, sd 855 is on par with the A12 and a better GPU. That's why the antutu score is higher than Apple. The only downside and a rather big one at that, their SoCs draw too much power and damage the battery. As a result Apple only guarantees a maximum of one year operating batterylife. Other chipset designers could easily match the Apple A-series SoC performance, but they've opted for sustained performance and longevity. Considering people are now expected to upgrade once every 3 years, that's a pretty big deal. What nonsense is this. Damaging battery? :) "Other chipset designers could easily match the Apple A-series SoC performance," Sure they can sure they can. That’s not how things work. Let’s say you’re driving in 75 miles with a cheap engine running at 4000rpm and a great engine at 75 miles 1500rpm, which car will run out of gas first? The only thing one can blame Apple for with power vs battery is to small of a battery. If you don't have a clue what you're talking about, maybe don't chime in. Your analogy is completely flawed. Apple has even admitted that their SoCs are the cause, why keep on denying it. It's not the battery, it's those supercores that do the damage by demanding more power than the batteries can deliver without causing damage to the cells. You don’t seem to understand, when the battery starts to wear down it can’t handle the power needed to play fortnite in its peak. With to much power with to little juice the phone will restart. If it were the socs fault why is the throttling only needed when batteries are below 80% capacity? And why is it that every battery loses capacity different on iPhones? Three different iPhones here at home and the batteries still age different. The biggest wear on batteries is charging not power. If we all never went below 1% charge and above 99% they would last longer. Because damaged cells mean that the peak voltage and amps can't be delivered and that's the cause of the phone restarting. That's why Apple has throttled performance of iPhones with deteriorated batteries, they can no longer provide the power needed to run at peak performance and so Apple's solution is to restrict the peak performance so power demands stay within the battery's ability. And obviously different iPhones have different usage patterns and different models have different hardware with other power demands. Charging isn't the biggest problem, especially with iPhones and their slow charging speed. It's those supercores and their power demand to reach those high Geekbench single core scores. It comes at a price and Apple simply said: "Well users shouldn't expect that iPhone hardware lasts more than a year, that's why we only offer a one year warranty." Or be able to replace battery for a fee. Show me on Samsung or any other brand that offers official battery replacement. Anyway so phones with android cannot peak those heights you mean? A two year old android with a battery with less then 80% capacity can still hold those powers or what? And why stop at 80%, a colleagues s7 can’t stay alive for 8 hours without a charge. Wouldn’t his phone restart at a Geekbench-test for example? Isn’t that a battery-issue rather then a cpu-issue? You seem upset, struck a nerve, have I? I'll humor you. For example, the Snapdragon SoCs from the last few years have had great sustained performance. They maybe didn't match their A-Series SoC in CPU single core performance but they were pretty zippy regardless and had good batterylife. So yes they can maintain those peaks just fine. A two year old Android phone with a battery that has degraded can maintain peak performance because the peak performance demands fall within the capabilities of the battery. I once had an Xperia X1 that maintained peak performance despite the battery having degraded below 75%. It only affected the battery capacity, so you couldn't do as long on a charge, but it managed to keep its maximum performance. You're assuming that what applies to an A-series SoC and iOS, must also apply to a SD SoC and Android, but that doesn't have to be the case. Say the A12 supercores use 3.7V at peak performance and a battery cell craps out reducing the maximum voltage the battery can supply to 3.2Volts than obviously whenever the phone attempts to reach peak performance by demanding 3.7V it'll shut down. Now suppose on the other hand that an SD SoC at peak performance only uses 3.0V and the battery can supply a maximum of 3.7V then should a cell degrade to a point it becomes unusable, and the maximum voltage the battery can supply goes down to 3.2V, the Android phone with SD can still operate at peak performance. True but then you're looking at 70% or more battery degradation and as I was trying to point out, if the SoC as a standard doesn't push the limits of the battery, degradation will happen much, much slower. And you should blame Apple for not using more powerful batteries to make up for the power demand of their SoCs in that case, not the batteries for not being stronger. Also Android users have a different changing pattern because phones have bigger batteries and last longer while many of the iphone, 6, 6s, 7 owners had to charge their phones around two times in a 16 hour interval. So batteries would degrade much faster. iphone 7's needed to be throttle after just a year since it's launch. Android also has had a great battery power management feature for many years before Apple(since before the Snapdragon 810 days). Apple only implemented a similar system after they launched the iphone 8/ iphone X. https://android.googlesource.com/kernel/msm.git/+/android-msm-bullhead-3.10-n-preview-1/Documentation/devicetree/bindings/arm/msm/bcl.txt So there's no surprise Android OEM's don't need to throttle the performance of their phones the same way apple was forced to do. It took Apple many years from acquiring PA Semi and Intrinsity to make that happen though. I know there are many rabid Apple fanbois out there who believe Apple has the talent and money to do this, but Apple is a design/marketing company -- this is not their core competency. Just look at their Siri, AI, autonomous car, etc.. that are way behind competition. Hope it's better than those crappy Intel modems. It is stated that it will take apple several years to get their modem ready. And thta's assuming everything goes according to plan and they can at least get close to competitors. Qualcomm is not the only company that develops mobile phone modes but there is a reason they are considered among the best(if not the best). It's not just internet connection speed but also the compatibility with the countless cell providers, the stability of the signal, the overall efficiency of the modem. Apple should have started to seriously develop a competitive modem years ago. They are quite late now. Nothing wrong with my intel modem inside iPhone X. You just keep telling yourself that. LOL. Right, we have iPhones as well, and I speak brutally honest words, from experience. What else would we expect you to say? Apple ain't making these moves for nothing. Like i said to you before, i didn't even knew that i have intel modem before you started to talking about it, so i wanted to see what i have because it works so well and based on your comments i thought it's definately qualcomm. And like i said to you earlier, it turn out that i have intel modem and it's been working perfectly so far. Apple products will never have problems right? Never said that. I just said my intel modem working perfectly, no problems since launch of iPhone X.
Hopefully they reverse engineered and stole more from Qualcomm then from Intel to build these chips.